Anticipation ran high as I packed my sketchbook and a lunch. 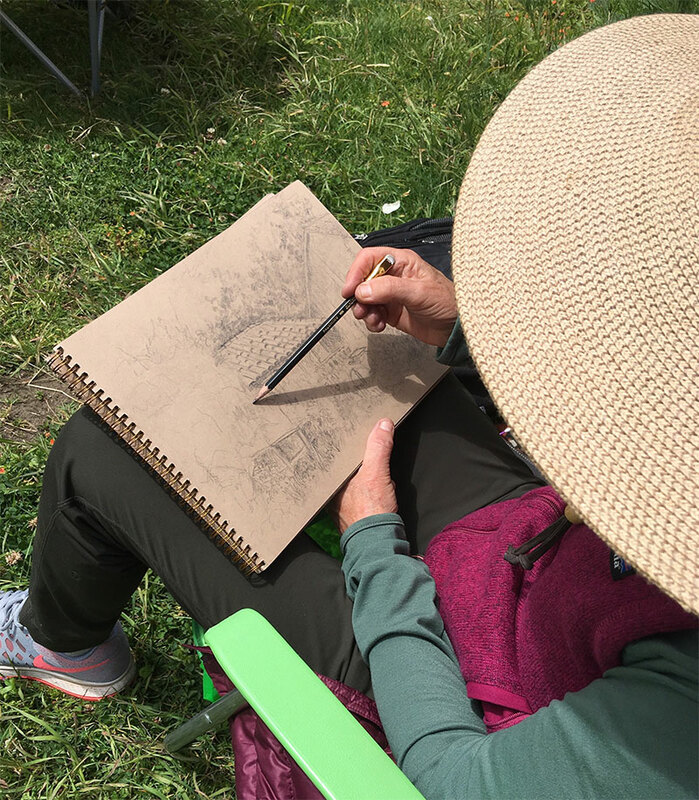 A small tribe of my most ardent studio students was gathering for a workshop at one of my favorite outdoor sketching locations, Wilder Ranch State Park. As we rendezvoused at the Victorian ranch house near the entrance of this beautiful, 7,000-acre historic site, blue holes began to punch open the overcast sky. We were about to discover what it is like to draw in sketchbook paradise. Our workshop crew was prepared for a wonderful day of sketching. Paradise found. 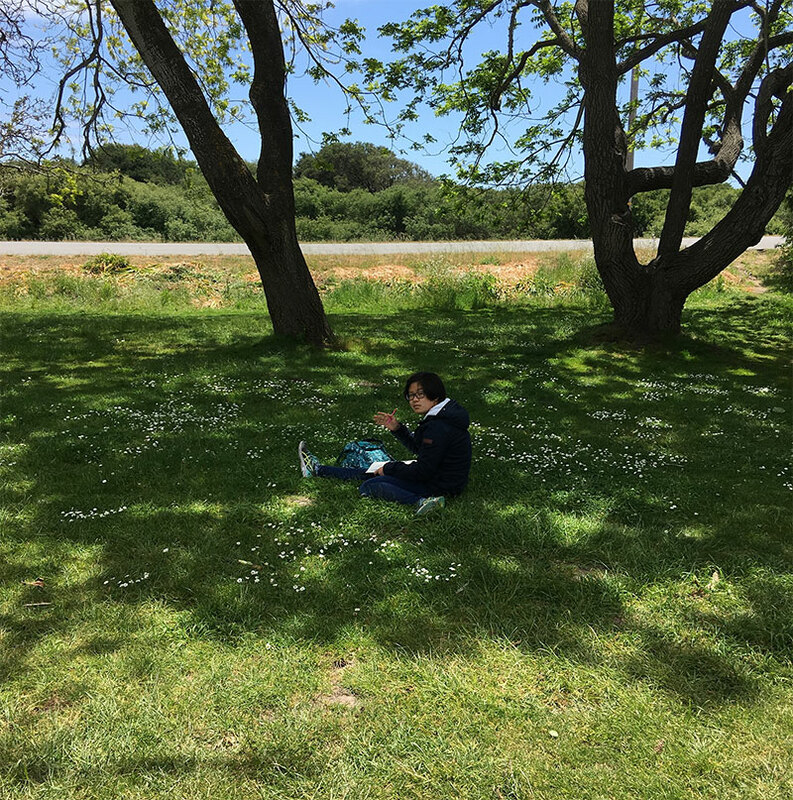 For optimum sketchbook enjoyment it is important to choose an optimum location for sketching. The ideal location offers a delightful smorgasbord of stimulating and challenging subjects to draw, appealing to both beginners and advanced sketchers—a little bit of drawing paradise for everyone. 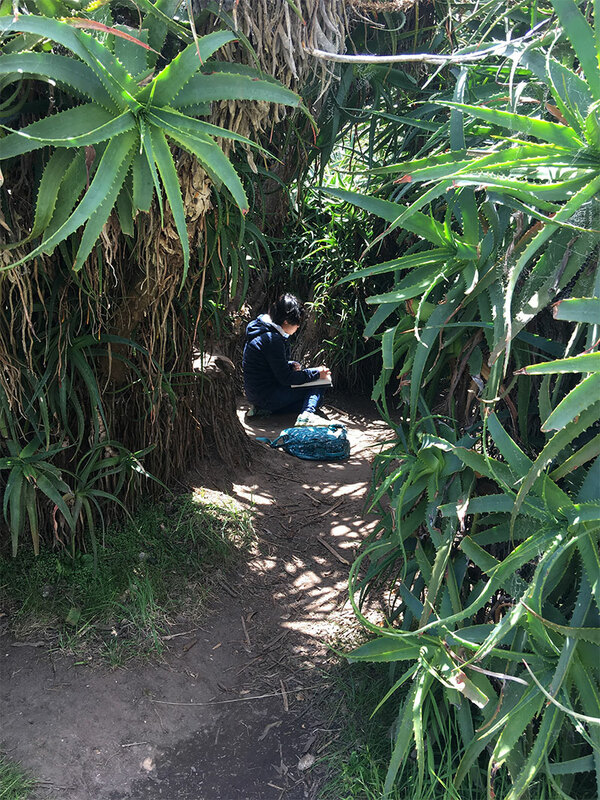 Youth sketcher Nicole found sketching solitude amidst a jungle of tangled agave plants. 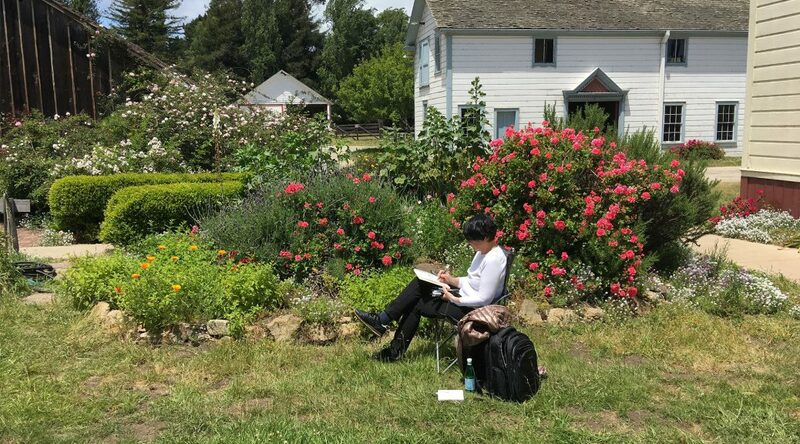 Wilder Ranch is a 5-star location for drawing. 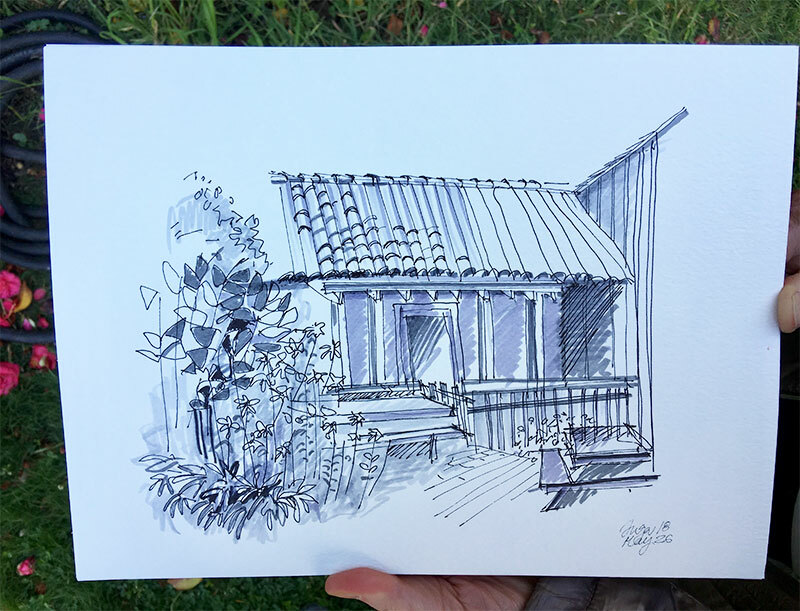 Its sprawling meadows, quaint gardens, and Santa Cruz mountain vistas kept our SketchTribe workshop crew busy. 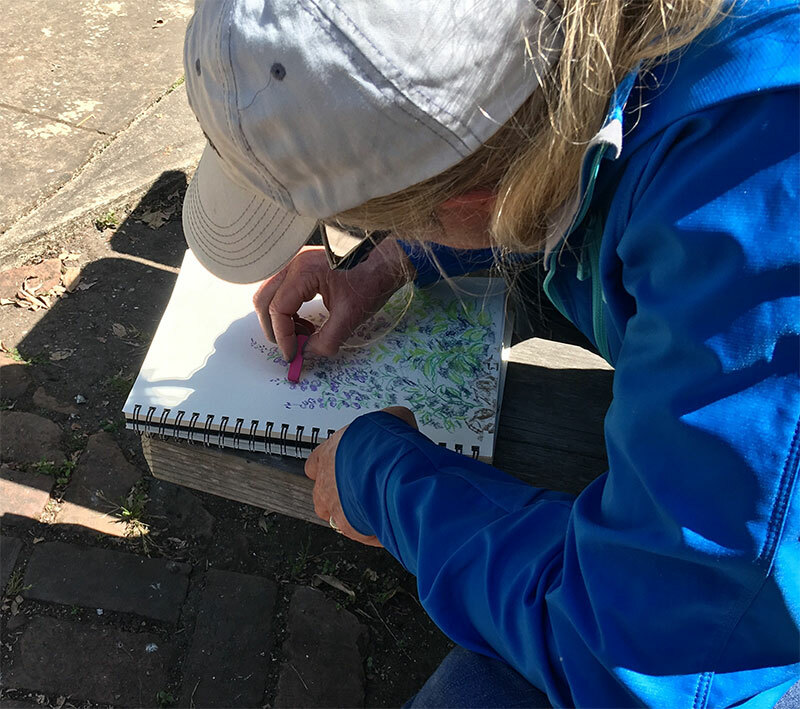 We were able to apply skills and principles learned in the studio to the challenges of outdoor sketching. Tina blocked in dominant shapes and perspective angles before adding details in her accurate take of the Bolcoff adobe. Check out that cool extended pencil grip! The first order of the day for sketchers was to scope out interesting scenes to draw. The original farm was built in 1871 and five generations of the Wilder family called the historic site home. An adobe rancho house that predates the Wilders, built by Jose Bolcoff in 1834, provided excellent practice in drawing the 3-dimensional perspective of buildings. 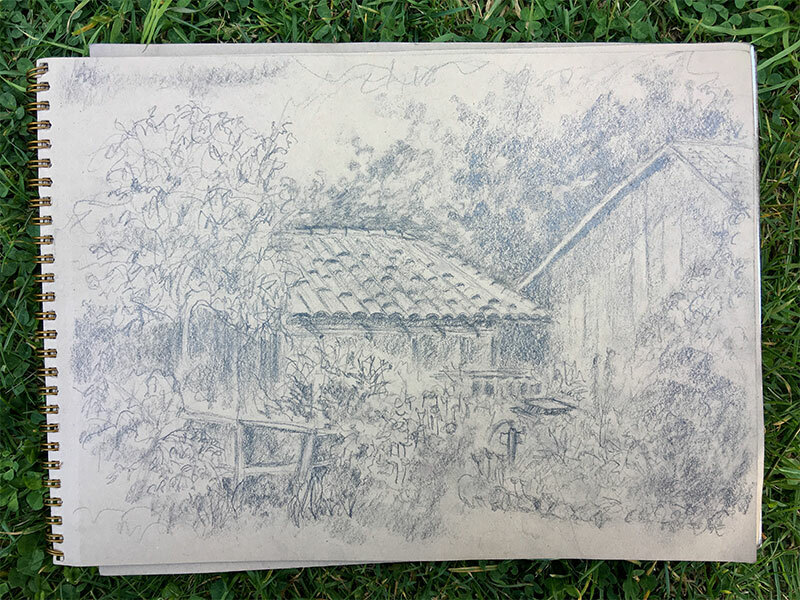 The Bolcoff adobe beautifully sketched by Tina. 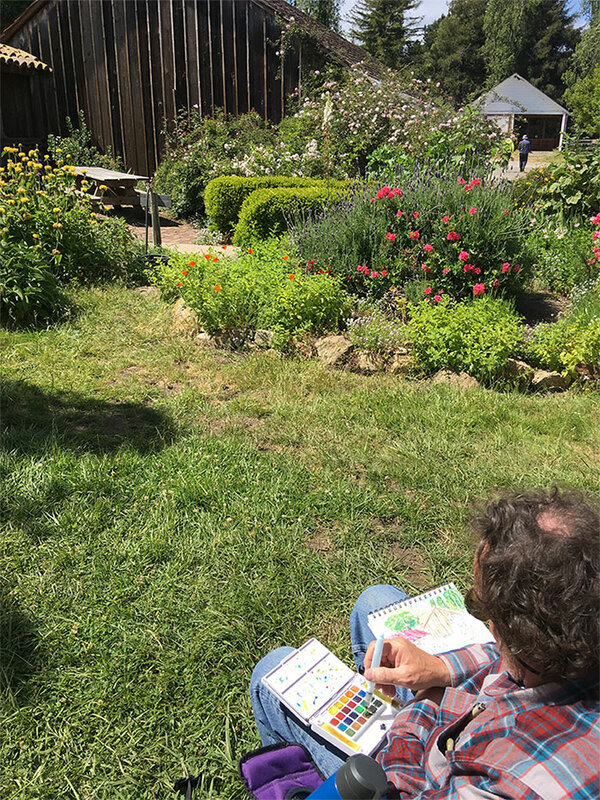 As the sun began to warm our backs, everyone settled into an afternoon of non-stop sketching. We focused on placing our composition on the page by lightly blocking in dominant shapes of our scene. We practiced drawing the contour edges of branches and ways to suggest masses of leaves in trees. We experimented with pencil and ink techniques to depict various textures of wood. 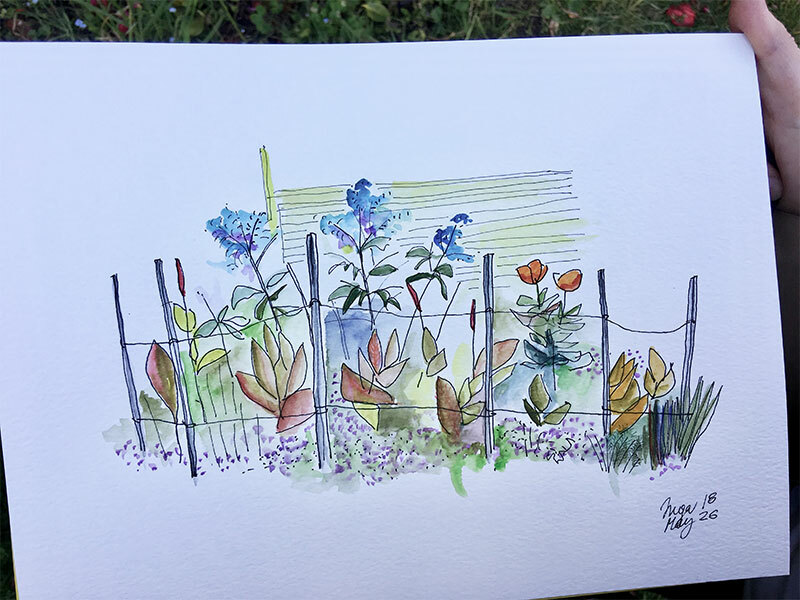 And we played with watercolors to wash in vibrant tonal values of flowers and plants. 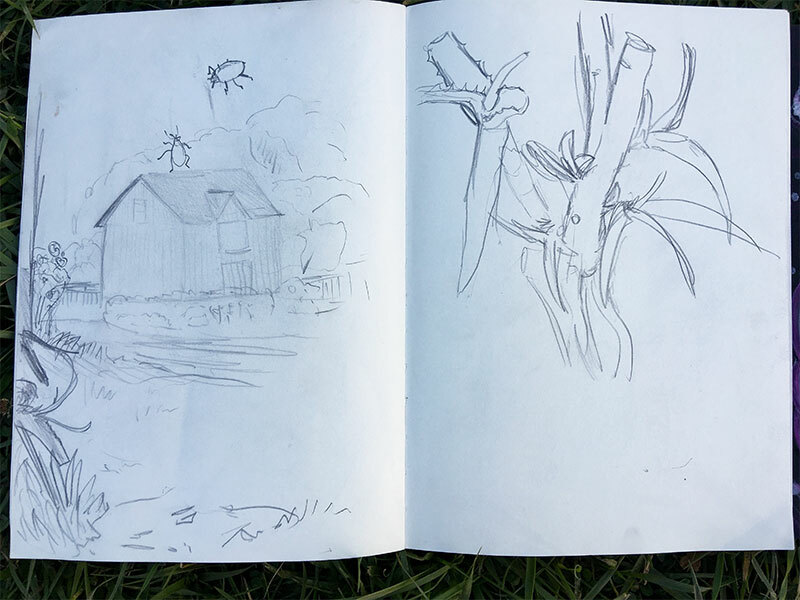 Karla found her own little corner of paradise to practice drawing the perspective angles of ranch buildings. 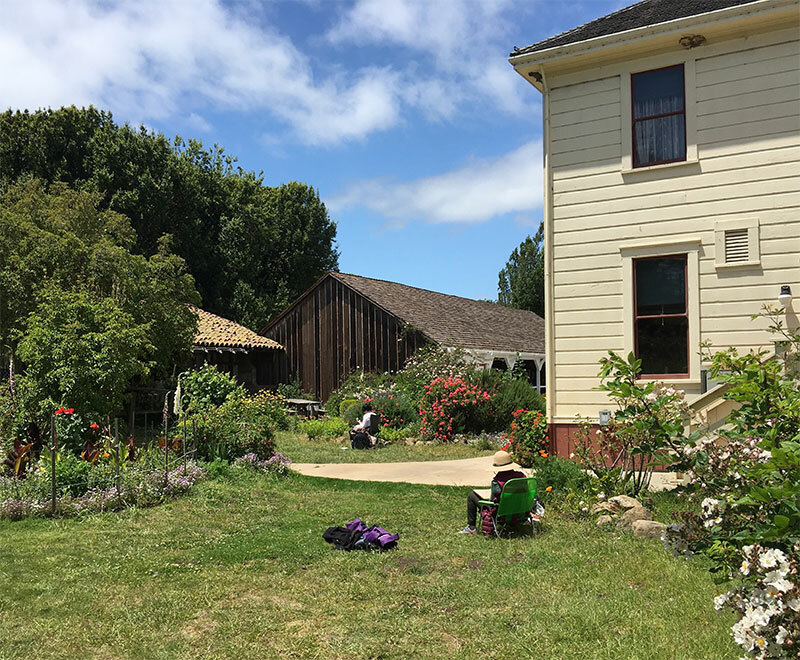 For our drawing pleasure, Victorian ranch homes, weathered barns, antique vehicles, farm animals, and remnants of the dairy still remain on Wilder Ranch. Moving from subject to subject was a fun part of the adventure, pausing along the way to breathe the ocean air and exchange ideas on drawing strategies and techniques. 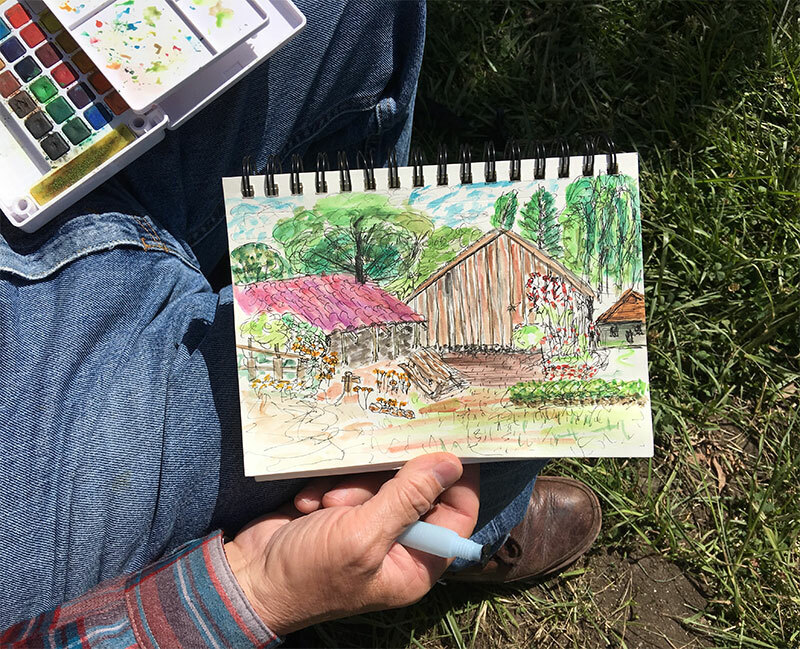 Karla added just the right amount of details in her sketch of the Wilder livery and ranch house. Shelly studied the scale of a large, old tree compared to a building. 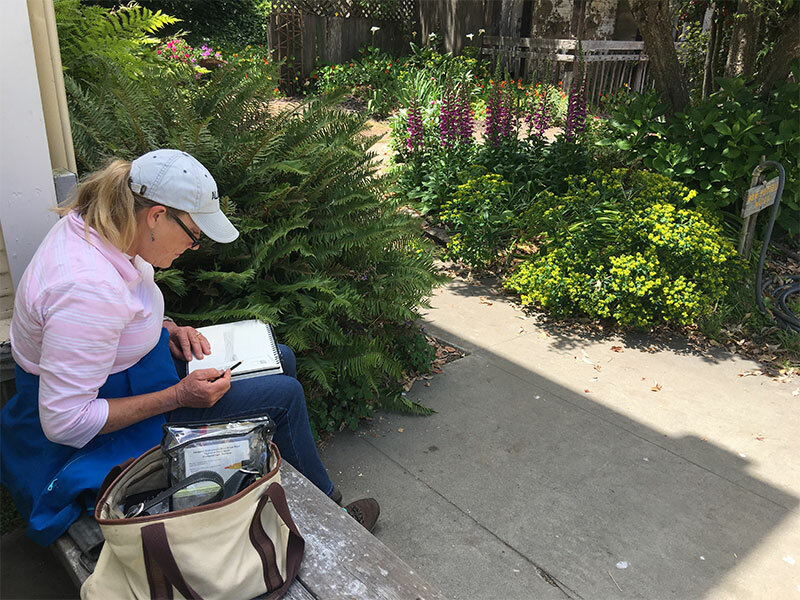 Whether you prefer to draw in solitude or with a group of enthusiastic sketchers, it is rare to find a drawing location that has it all. 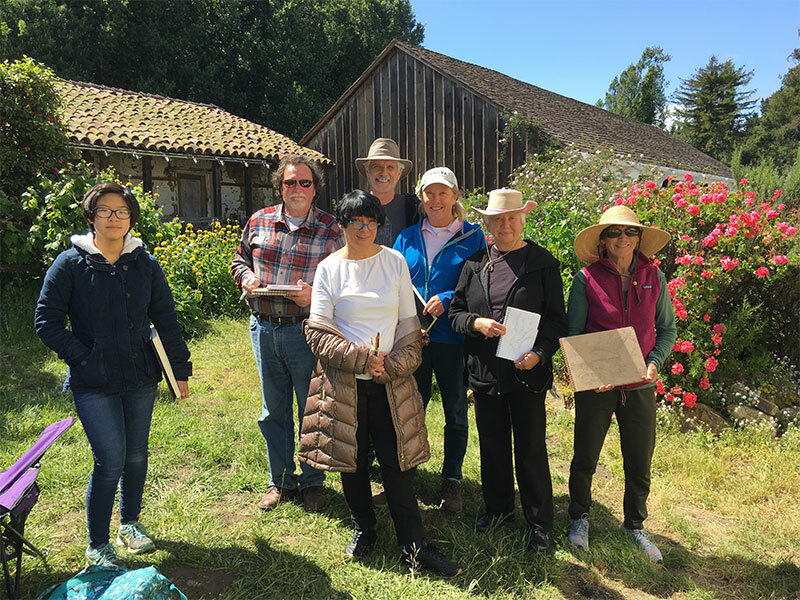 But on this summer afternoon, the natural elements and a wonderful group of people came together at Wilder Ranch for a memorable day of sketching in paradise. Picture-perfect sunshine for defining shadows and textures. Inga experimented with various drawing media throughout the day. 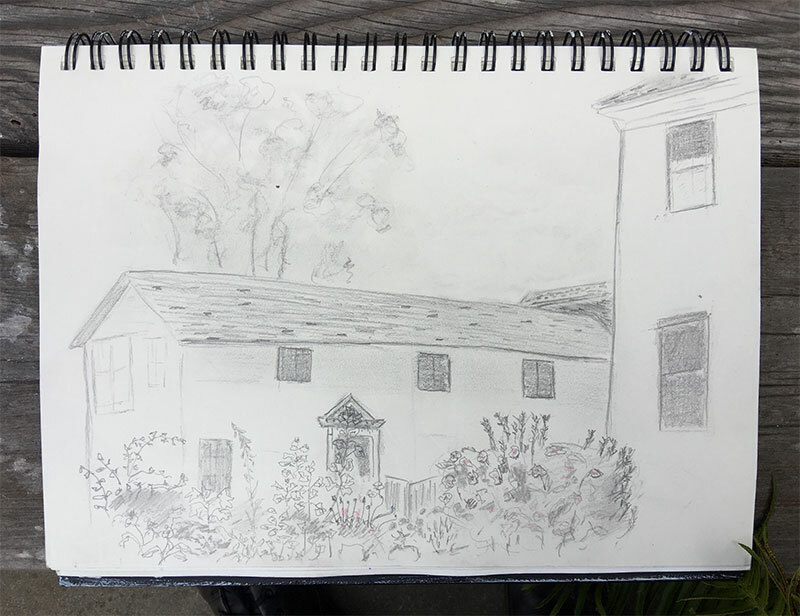 This is her Tombow pen, grayscale rendition of the Bolcoff adobe. With this much color all around, having a variety of materials along came in handy. Karla Had fun with pastels while sketching flowers. 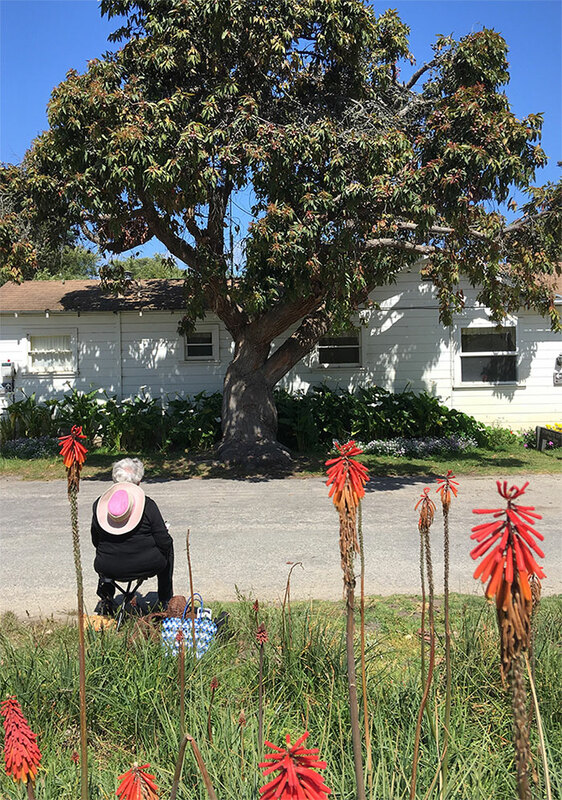 Mike opened his paint tray and took in the Bolcoff adobe and the wooden siding of an adjoining garage, filled with antique cars and farm equipment. Colorfully cool ink/watercolor sketch by Mike. After Inga finished this ink/watercolor sketch, she gave it as a birthday card to Tina! 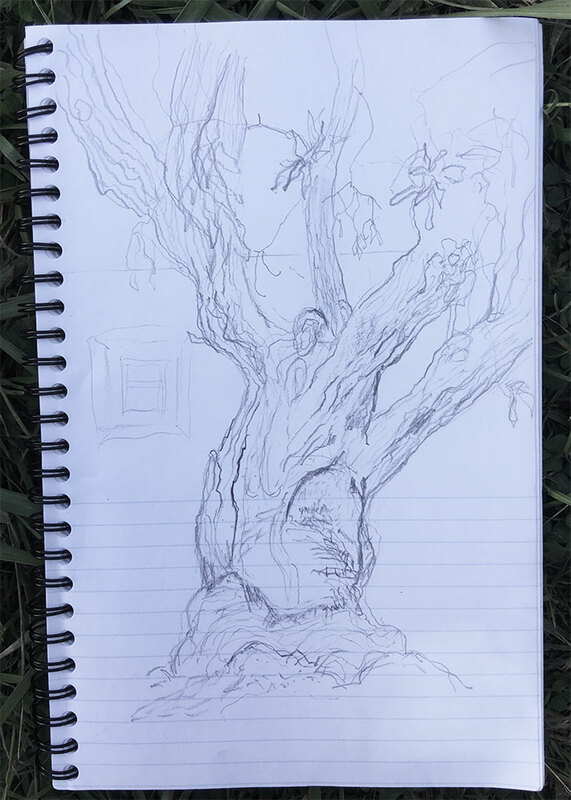 Shelly sketched out an awesome study of tree bark texture. Just relaxing and taking in coastal Santa Cruz. “A bug landed on the page, so I drew it,” said Nicole. All in a day’s sketching in paradise.